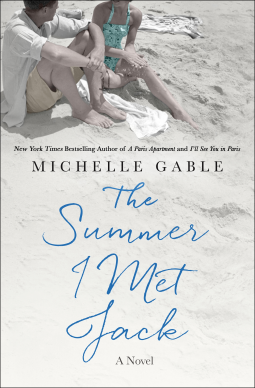 The Summer I Met Jack by Michelle Gable is a great read. It is based off some realistic events. I found that part intriguing. My mind spun with how would those characters have survived, done, and moved forward. The consequences of their actions and the choices they have made will affect them like a domino affect. The book was similar to some soap opera themes but had a real life tune. There was plenty of drama, sacrifices, and emotions that flew across the pages. I was deeply entertained. The intensity and curiosity of what would happen to and between both Jack and Alicia caught me. This novel was historically interesting. Michelle Gable did her research into the whole affair JFK and Alicia Corning Clark. The writing was engaging. I could not stop reading her book. The more I got into it, the more I had to read it. There was and still is a mystery surrounding the real historical events and the ones in the novel. I loved that! A romance that soon turned forbidden, and then distorted and kept hidden in such a way tha no one really knows the answers was appealing to me. Overall, I recommend The Summer I Met Jack to all readers.